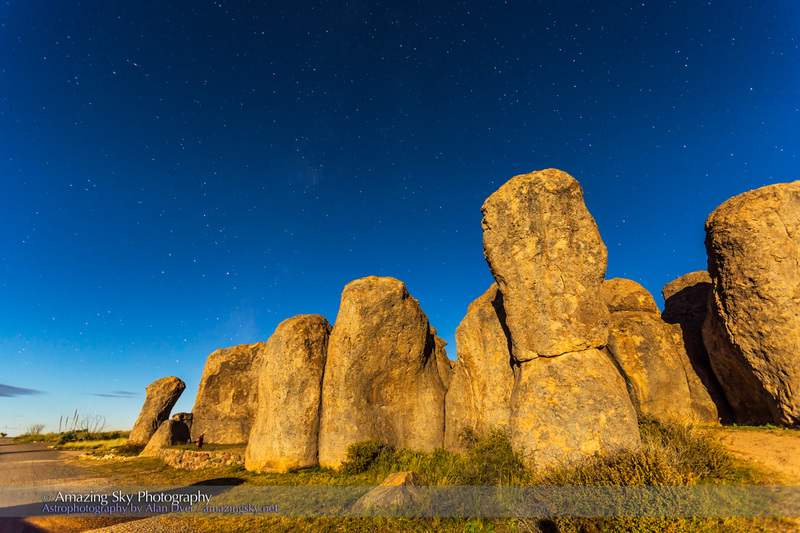 Sagittarius, with Mars, set behind the granite pillars of City of Rocks State Park. From home in Canada the summer constellation of Sagittarius is long gone by November. But here, from a latitude of 32° north, Sagittarius, now with Mars shining amid its “teapot” shape of stars, still shines in the southwest. 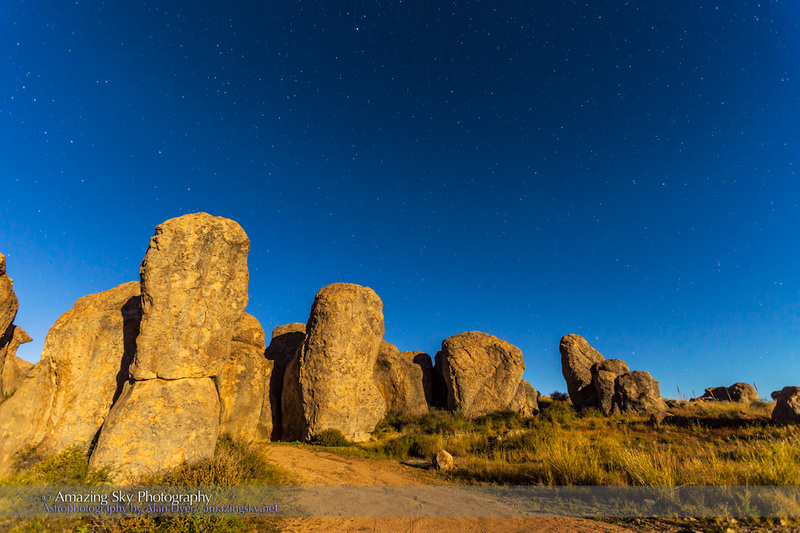 This was the scene last night in the early evening, as the Full Moon lit the rock formations at New Mexico’s City of Rocks State Park. Sagittarius is above the rocks at left. 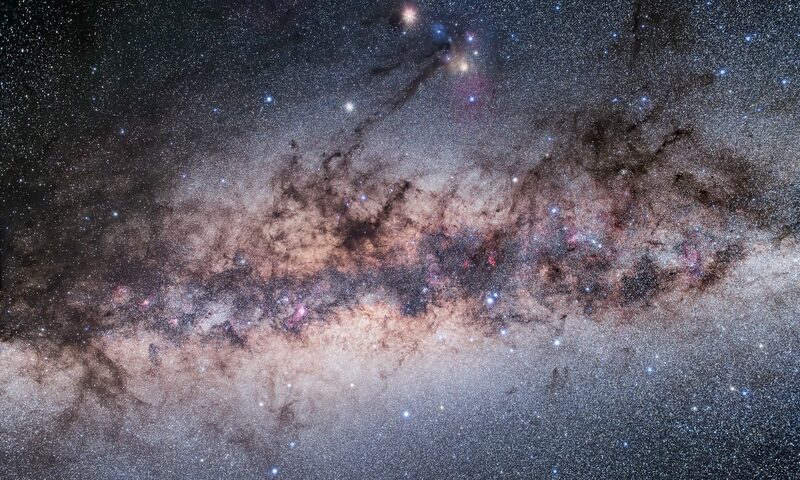 Some bright bits of the Milky Way just manage to appear in the clear, bright sky lit blue by moonlight. This view looks northwest, with the stars of the Big Dipper just clearing the rocks at right. In two weeks, with the Moon gone from the sky, the local astronomy club hosts one of its monthly star parties at the Park, making use of the public observatory in the Park, near the “Orion” group campground area – all the campsites are named for constellations and stars. This is a very sky-friendly Park.